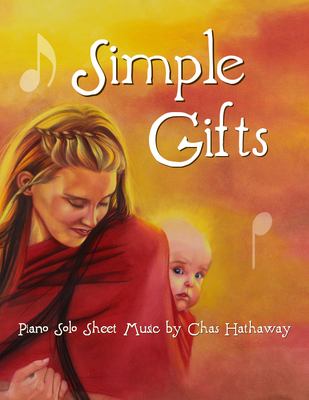 Sheet Music of Chas Hathaway's New Age Piano Solo Arrangement of the Hymn, Simple Gifts. Life is lived in moments ? not in seconds, not in hours, not even in breaths or heartbeats. Life is lived in the moments that we make by our own choices. It's our conscious effort to see beauty, choose kindness, and reach out in love that we find power in the gifts God has already given us. We can let life happen to us, or we can choose to make moments that better the world around us. 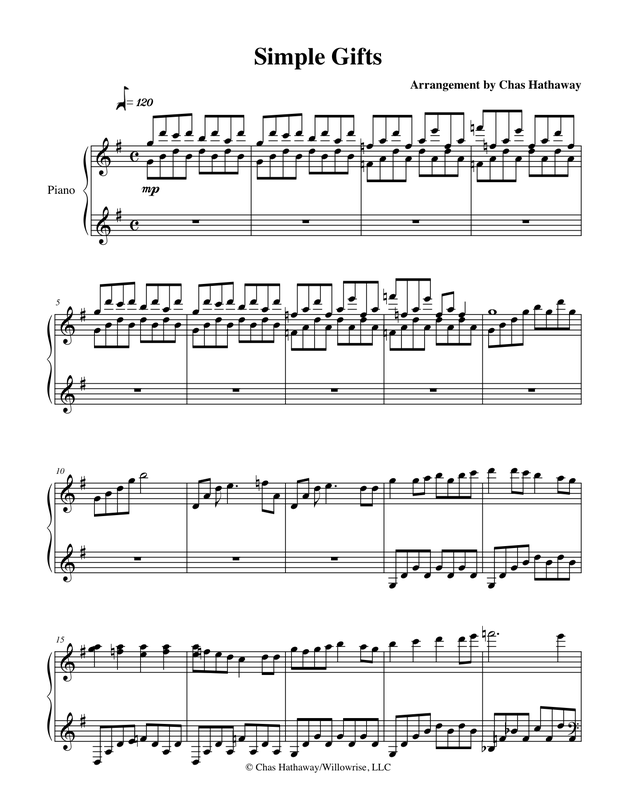 We can hug a friend, play with a child, stand for truth through opposition, give a gift, help someone make better choices, develop a talent, say a prayer, offer encouragement, take a walk, look at the stars, share beautiful music, write a letter, learn, offer assistance, and love our families authentically. It's the simple things that turn life into a grand mosaic of rich experiences. Don't wait for those moments to come. Go make some now. Chas Hathaway's secret to an rockin' life is to marry awesome, have a boat-load of kids, and eat lots of parmesan cheese covered popcorn. Oh, and live the gospel of Jesus Christ, completely and passionately.